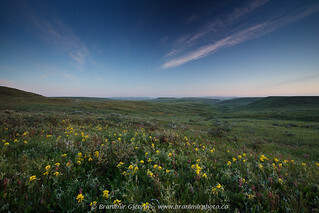 Prairie with golden bean and Three-flowered avens in bloom, Grasslands National Park (East Block), Saskatchewan, Canada. Southern Saskatchewan received unusually high levels of moisture this winter and spring. 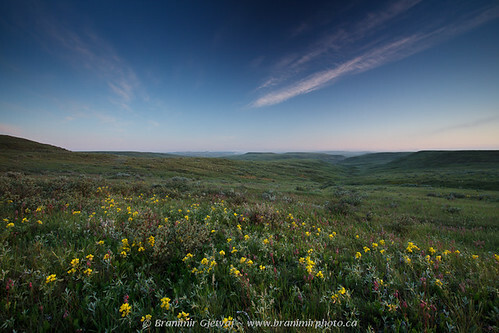 As a consequence, prairie is very green and covered in spring wildflowers. Vegetation is slightly delayed (maybe too much moisture and not enough heat), and I expect that the peak flowering season will be in late June of 2011.